Looking for the best military grade smartphone that offers software security on Android OS with high durability? 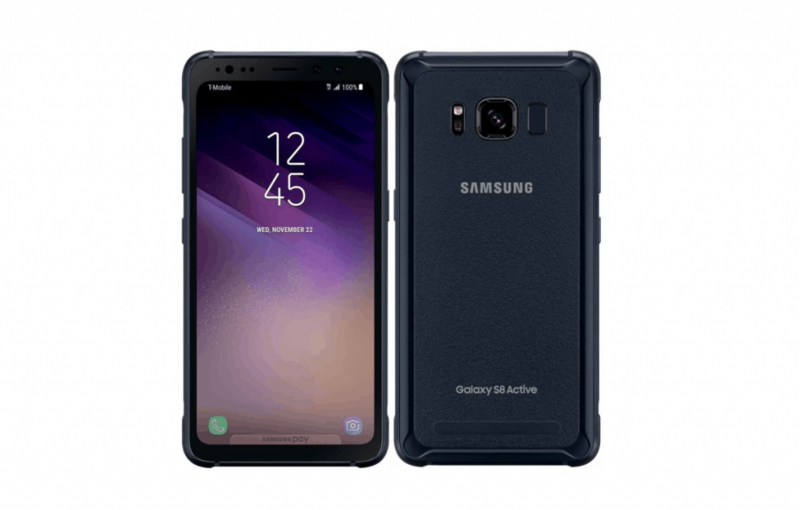 Here’s why Android is a top pick among military grade rugged mobile phones and check out our personal selection. Ever since the invention of the wheel itself, man has moved forward in advancing technology to unthinkable magnitudes. In just the past decade, the smartphone revolution has taken the world by storm with no end in sight. 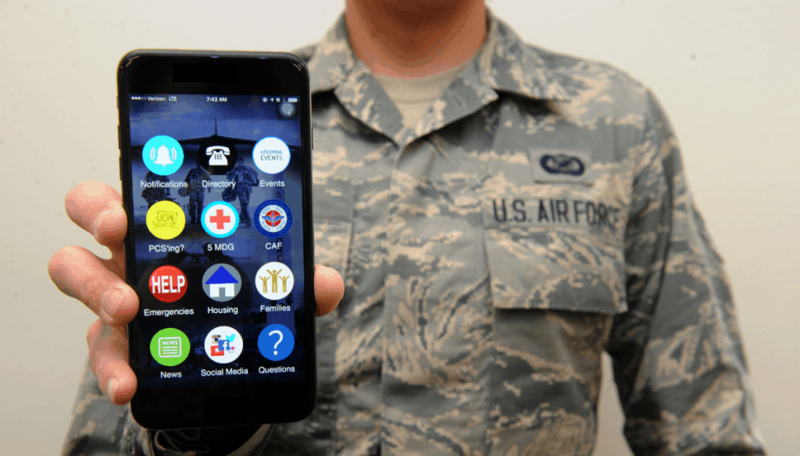 With billions of smart devices up and running across the world, it isn’t surprising that smartphones are also used extensively by branches of the government such as the military. From being heavily secure through software and physically formidable too, it takes extra to be a military grade smartphone. You need a device that cannot be easily bypassed through brute force software attacks from all sides. On the outside, the build quality has to be MIL-STD (Military Specifications/Standard), making it strong enough to handle drops, crashes, and even the occasional water drop. Just as you would need to communicate and require the ability to send and receive documents, so do military personnel. The difference is that while we can communicate on an open network, they cannot do so due to security concerns. Although most military departments that are on-field still depend heavily on radio phones, smartphones are seeing a steady growth approval for domestic and overseas operations too. The closed-circuit nature of Apple still keeps iPhone at the top when it comes to security, making it more preferable. However, over the recent years, Google has restricted the security loopholes severely. Combined with the fact that U.S. Military uses their very own modified version of Android OS, makes it foolproof. The open-source nature of Android OS allows the technology wing of the military to freely tinker with the software. What Makes a Military Grade Smartphone Different? The fact of the matter is that most Android devices today come with top-notch security protocol and decent build quality. So how does one differentiate between a regular Android and a military grade smartphone, to begin with? There are certain factors that make a smartphone worthy of being called “military level” in its entirety. The basic requirement of any clothing, equipment, or gadget to be even considered military standard, is durability. Most Android devices today sport features such as IP water and dist resistance and supreme build quality. However, almost all of the modern devices come with aesthetic features such as glass back panel and curved screens. These aesthetic elements make the smartphones more likely to break and crack even with the slightest drop. This is why a military grade smartphone is expected to be built like a tank, scoring the ability to take a serious hit and still survive. From reinforced sides and shatterproof display screen to tactile grip and metal build – you need it all. Android OS has come a long way since 2007 when it was considered a security nightmare by most experts. In recent years, Google has managed to scrub it clean of vulnerabilities and exploits, with a tightened grip on the Google Play Store to let almost no malicious apps and services through, which is why any military grade smartphone running the latest version of Android OS would be most preferable. 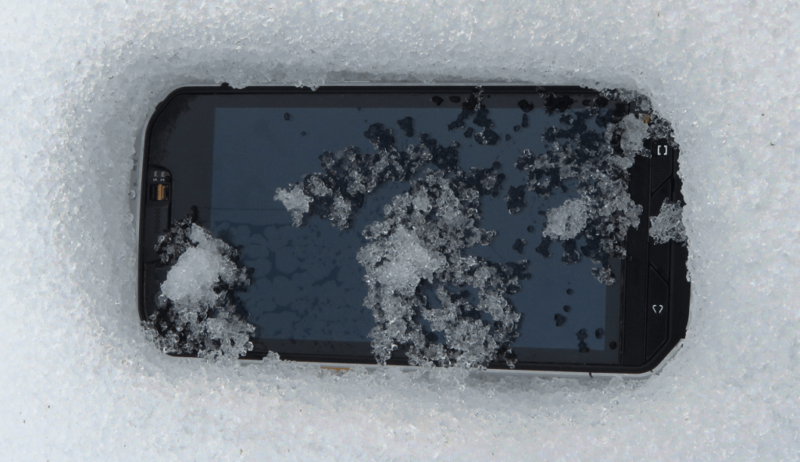 You don’t want a smartphone that is a rugged beast on the outside and an underperformer on the inside. Albeit you can’t expect most military grade Android devices to tout the latest Snapdragon processor right out of the box. But it has to have enough hardware firepower to handle whatever tasks you throw at it, especially during high-pressure situations on the ground. Since you would expect most rugged smartphones to be heavy-duty and built to last, the battery must be the same. Since military personnel spends hours on the field with no source to power during certain times, a phone that lasts days at a stretch can be a crucial factor. A military level Android phone should ideally pack a battery capacity of more than 4000mAh at a bare minimum. Since the entire front portion of your smartphone is entirely made of glass, this makes it the most fragile element. Even the toughest smartphone is utterly useless with a shattered and unusable display screen, especially if the touch sensitivity dies. This is why a military grade smartphone should be packed with a display that is either protected by raised edges or fixed with a shatter-proof screen. Apart from the regular premium elements, a military grade smartphone needs certain tactical advantages over the rest. 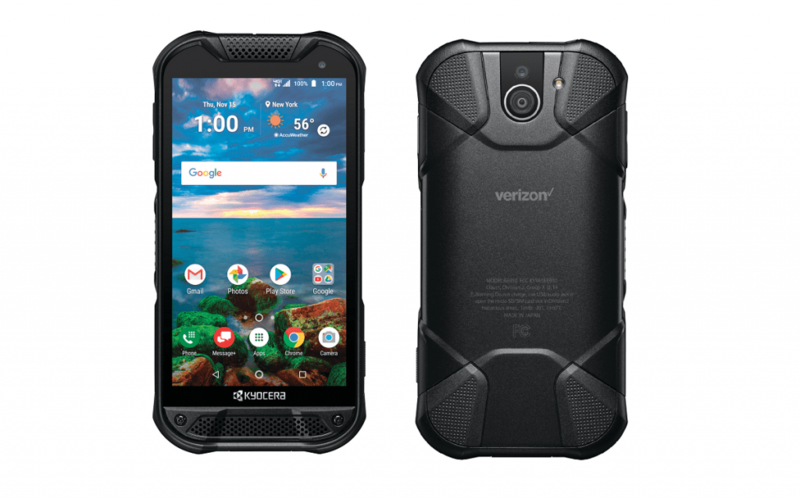 From special rugged function keys and customizable buttons to thermal imaging camera sensor and extended water submersion protection, there’s a lot you should expect rugged military Android phones to deliver. Despite being a fairly small niche, the military grade smartphone market has been packed with competition from all over. With no contenders from the iPhone lineup, the best military phones all come with Android running out of the box. Whether you’re looking to go all commando with a heavy duty premium military phone, or just one that can last through your on-field work, here are the best choices out there for you to pick from. 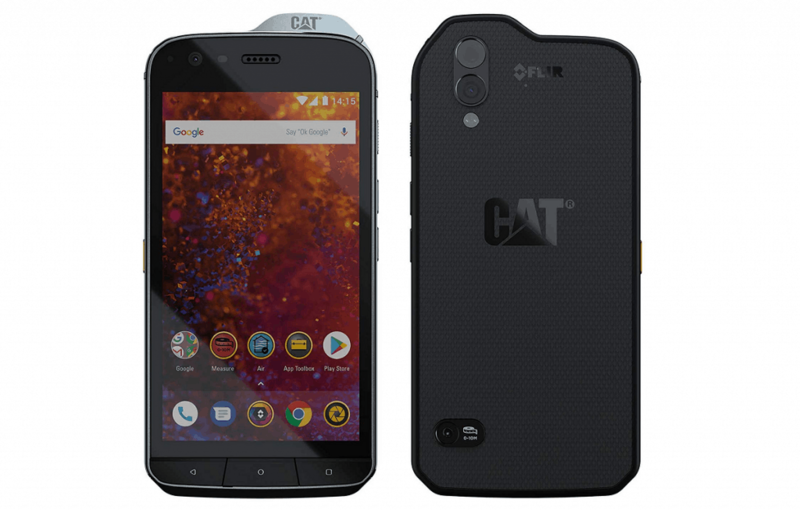 Brought to you by the top name in the industrial manufacturing world, CAT S61 by Caterpillar is a milestone rugged smartphone. Built to last toughest of environments, it is waterproof up to 3 meters and comes with MIL-SPEC 81G rating. Packing the heat with Thermal Protection, Laser-assisted distance measuring and an indoor air-quality monitor, CAT S61 is a powerhouse. Taking things one step further, a thermal imaging camera is built into the smartphone itself offering diagnostics as well. Being drop resistant up to 6 feet and highly resistant to vibrations makes the CAT61 formidable even under humid conditions. Rocking Android 8.0 Oreo, a decent battery capacity, and a powerful Snapdragon processor make this smartphone a truly rugged device. 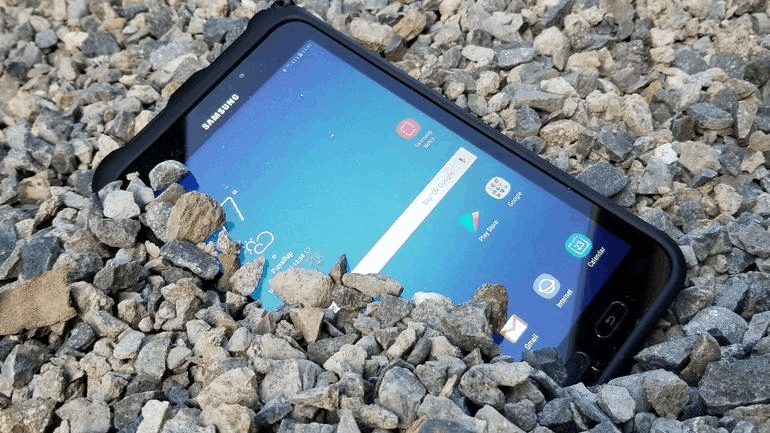 The South Korean tech giant may have excluded the possibility of a Galaxy S9 Active, but even the last year’s rugged machine beats the competition by a long stretch. Possibly the only military grade smartphone that runs the Snapdragon 835 right now, Galaxy S8 Active is a performance beast. Packing a Gorilla Glass 5 on the front, the raised edges keep the AMOLED display safe from drops. While the front screen is highly scratch and shatter-resistant, the back comes with a textured surface that is easy to grip. The corner bumpers on the metal frame give it impact resistance, while still being able to offer wireless charging. 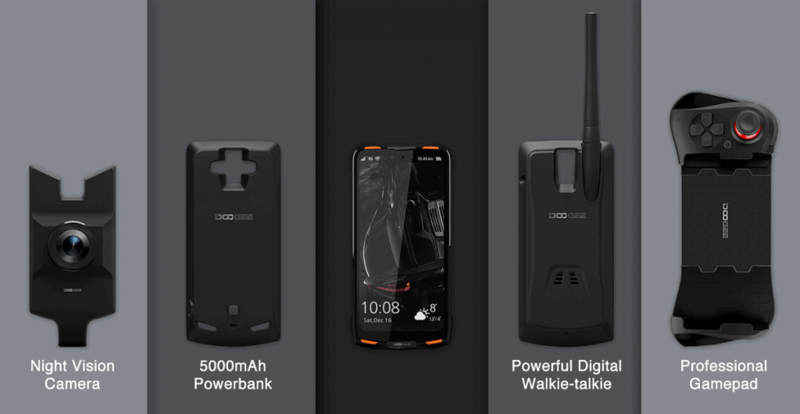 A relatively new entry to the military grade smartphone market, the Doogee S90 is a nuclear bunker of the smartphone. Built up to be the very first “modular rugged phone”, The S90 also has a bunch of accessories and an entire gaming mode jammed into it. In regard to the modules, you get a Game Mod, a Walkie-Talkie Mod, Power Mod, and even a Night Vision Camera Mod included in the box. Packing the affordable, yet powerful Helio P60 processor inside a chassis built for durability makes this smartphone a monster. Titanium alloy for all-round protection, along with water and dust resistant design offers the assurance of MIL 810 standard durability. What Doogee lacks in brand recognition, it more than makes up with an abundance of modular features. A recognizable brand in the world of durable rugged smartphones, the latest offering from Kyocera is a sleek beast. Designed with durability in mind, the IP68 water, and dust resistance rating along with MIL 810G standard makes it everlasting. Backed by two years of manufacturer warranty and industrial design with tactical buttons makes the DuraForce PRO 2 shine. Features like dual front-facing speakers, expandable storage and an effective pricing structure are what puts the device ahead. 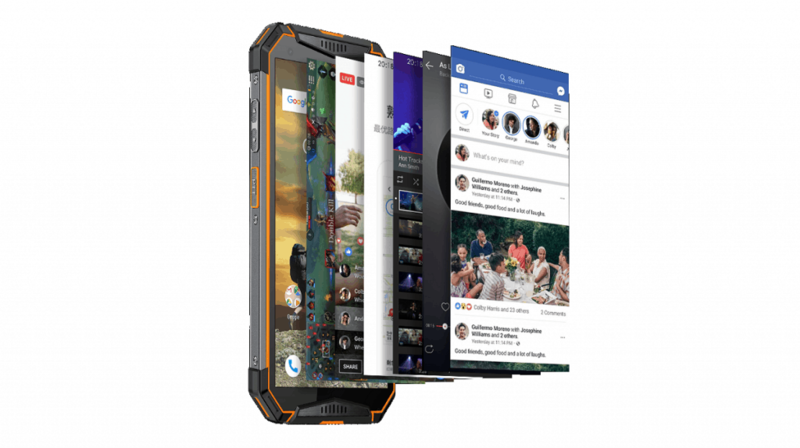 But one of the most impressive features of the DuraForce 2 remains the Sapphire Shield display which scores highly on the hardness scale, making it far more scratch and shatter-resistant than most devices out there. An emerging Chinese brand in the world of smartphones, Ulefone brings the Armor 3 to the arena for serious competition. Offering iron-clad security with fingerprint and facial recognition all packed into a highly-durable body, you get dual-facing speakers, a dedicated PTT button, tactile keys and so much more. Rocking the Android 8.1 Oreo right out of the box, what makes the Ulefone Armor 3 stand out is the phenomenal 10300mAh battery capacity that it rocks. With a bunch of tools built into the system, you get services, like pressure meter, bubble level indicator, height measurement tool and so much more. The MIL standard design rates smartphones based on overall durability. Each of the smartphones we have reviewed above not only meets the military grade smartphone standard but surpass it. However, when it comes down to the basics, do you really need one a military Android phone in the first place? The current generation of devices from brands like Samsung and Motorola already come with IP68 dust and water resistance rating. Additionally, slapping on a rugged case on your current smartphone makes it extra durable without a brand new purchase. In our opinion, a MIL smartphone is best suited for those who live out on the field, such as firefighters, paramedics, engineers, military personnel and others. Are you among those who wish to rock a military grade smartphone that has real-life usage? Be sure to share your thoughts in the comments section right down below.